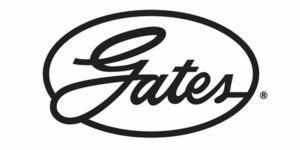 Gates, global provider of application-specific fluid power and power transmission solutions, has announced four new product technology solutions that further extend the company’s track record of innovation and leadership in the automotive and heavy-duty truck original equipment manufacturing and replacement channel markets. As vehicle propulsion systems evolve to meet rigorous regional and global emissions and efficiency standards, these new products from Gates represent unique market solutions to help vehicle engineers meet these needs for internal combustion and the rapidly growing hybrid-electric and full-electric vehicle propulsion systems. The Gates-patented, next-generation Alternator Isolator Decoupler leverages the company’s laser-welding process, an industry first for this product category. This process technology, combined with innovations in metallurgical science and mechanical design expertise, has delivered a significantly smaller, lighter-weight design that is scalable from small passenger cars to heavy-duty vehicles with high-amperage alternators. Smaller displacement, higher-output engines place increasing demands on accessory drive systems. Alternator Isolator Decouplers reduce the impact of these trends and provide smoother engine performance and increased fuel efficiency. Gates says the GD470 family of timing belts has three times greater tensile strength than previous products and supports improved timing accuracy under the higher injection pressures found in new internal combustion and hybrid engine platforms. Timing belts offer a number of advantages over chain and gear drive systems, the company adds, including reduced noise, vibration and harshness as well as improved engine efficiency. The technology behind the GD470 family of timing belts enables new levels of performance that further extend the advantages of timing-belt technologies over alternatives. Increasing electrification across all propulsion platforms is driving the need for more complex cooling systems. In order to meet this demand, Gates has developed a low-power electric cooling pump designed to address the specific cooling requirements of battery packs and electronics contained in hybrid-electric and full-electric vehicles. Gates says the pump platform is flexible, lightweight and efficient, and scales from 12 watts to 60 watts to address a broad range of cooling applications. Gates’ low-power electric cooling pump is qualified across the full automotive temperature range. The Gates EMD2 Micro-V belt family is the company’s next generation of Micro-V belts, designed to provide superior performance in demanding start/stop systems and mild-hybrid vehicle applications. These new Micro-V belts have been designed with a patented cord construction, proprietary compounds and a specially engineered production process. They are expected to provide 40 percent higher flex life and significantly higher sheer resistance than earlier products. The EMD2 family delivers industry-leading power transmission and noise performance across the various modes of hybrid vehicle systems including start, boost, recuperation and generation. 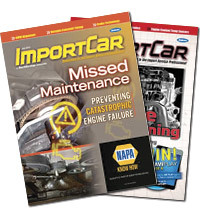 “Vehicle propulsion systems are evolving to keep up with current emissions and efficiency standards, leading to increased system complexity and the need for higher-performance, lighter-weight and more durable power transmission and fluid power solutions,” said Tom Pitstick, CMO and senior vice president of product line management for Gates. “These new solutions, each with significant advantages over existing products, are examples of our ability to leverage our close customer relationships to better understand application needs across internal combustion, hybrid-electric and full-electric vehicle propulsion systems. We combine this understanding with our deep expertise in materials science, product engineering and manufacturing capabilities to deliver solutions that enable our customers to meet their goals,” he added. All of these new solutions have been selected by vehicle manufacturers around the world, with initial shipments in 2019, according to Gates.